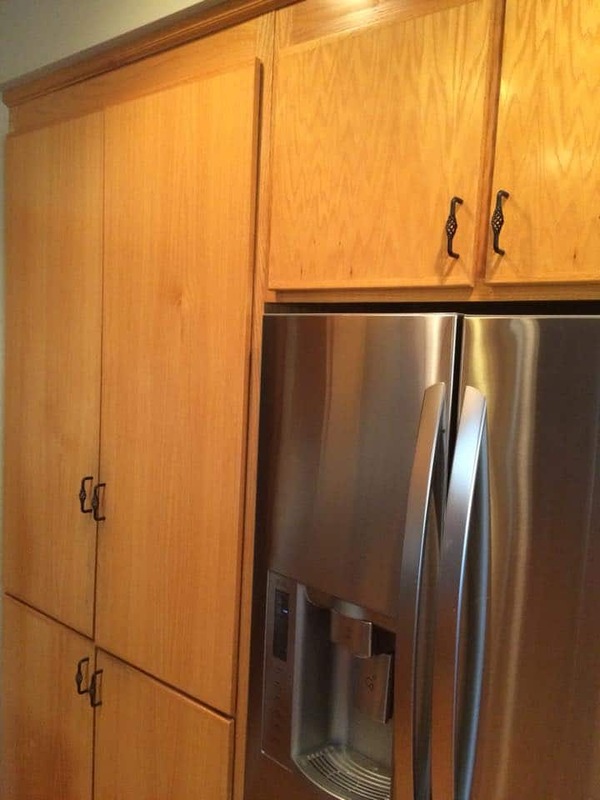 Just say NO to cabinets from the 80s. 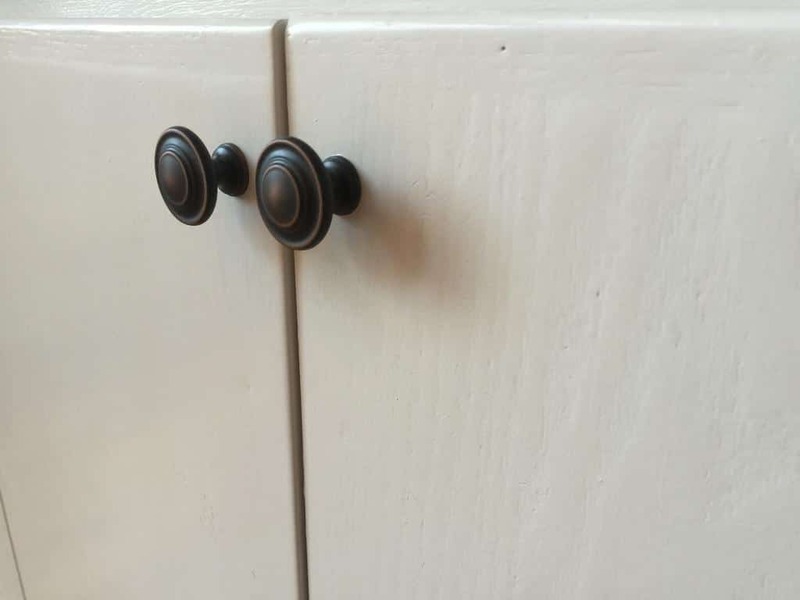 Or 90s, for that matter. 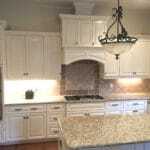 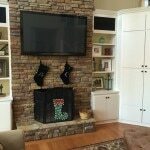 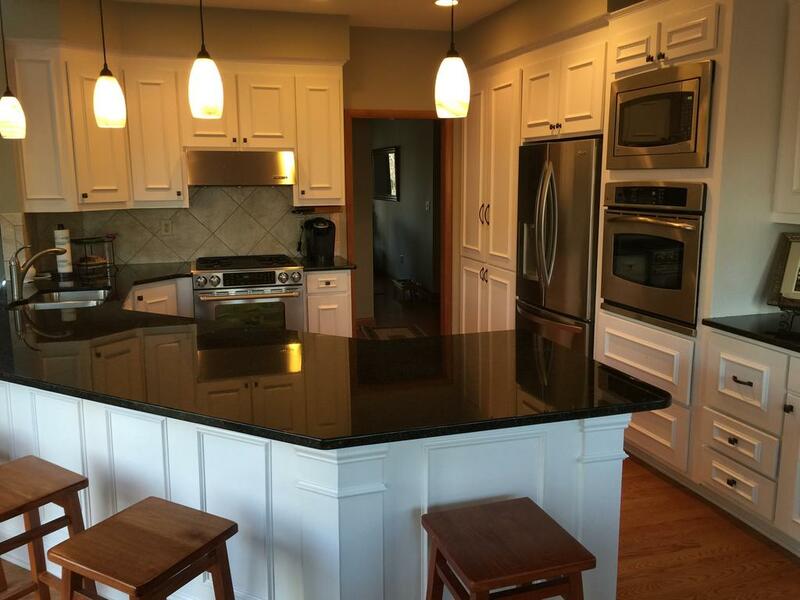 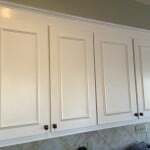 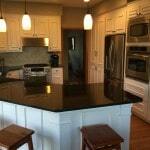 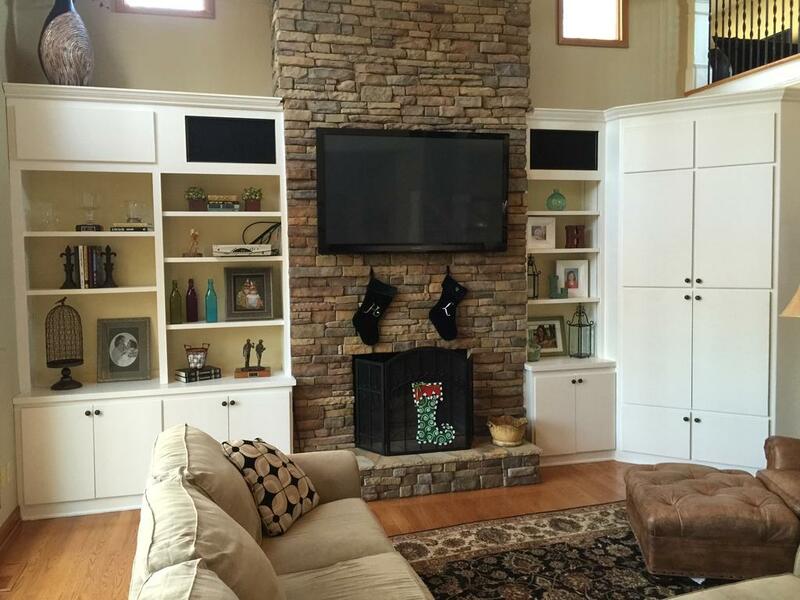 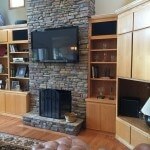 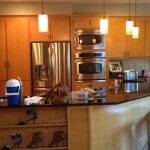 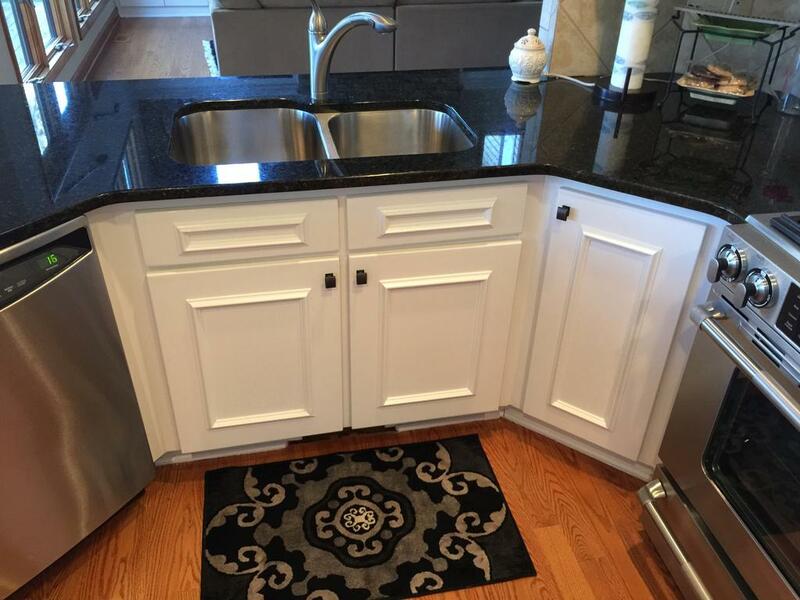 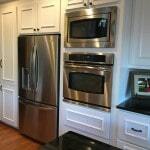 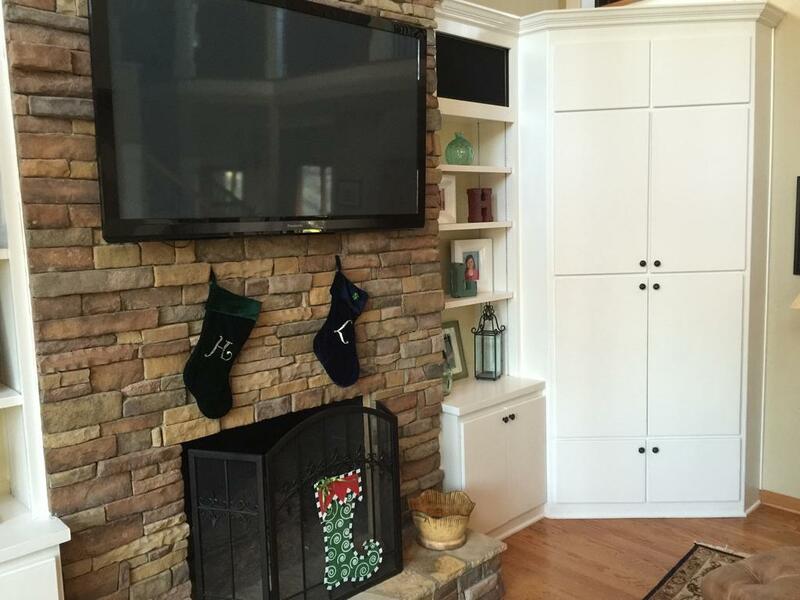 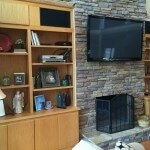 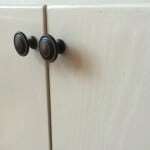 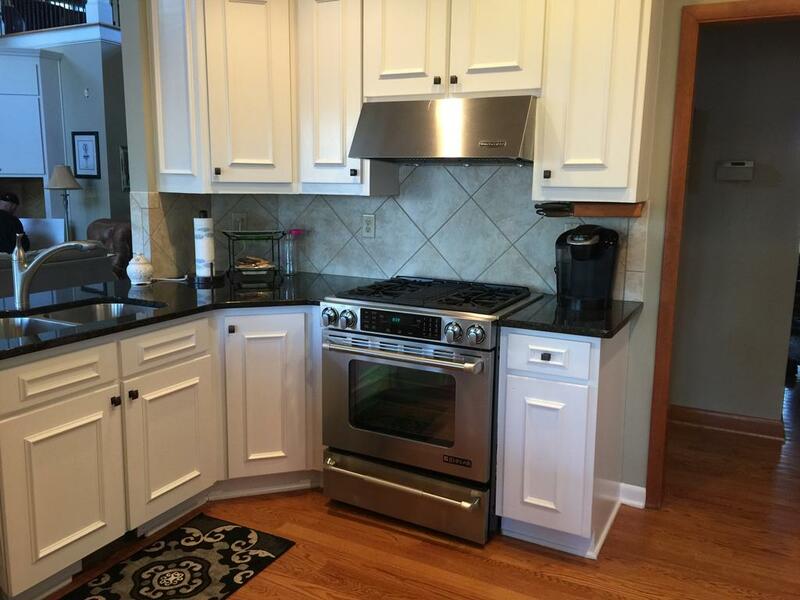 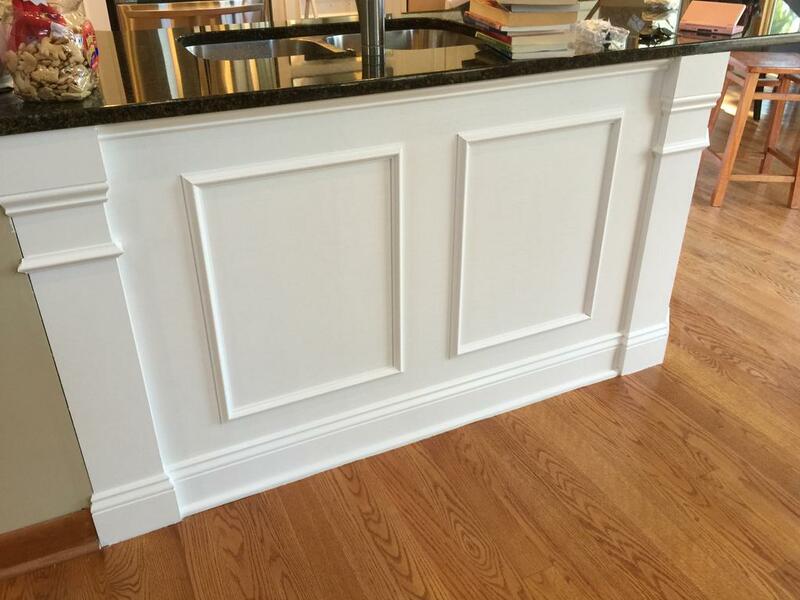 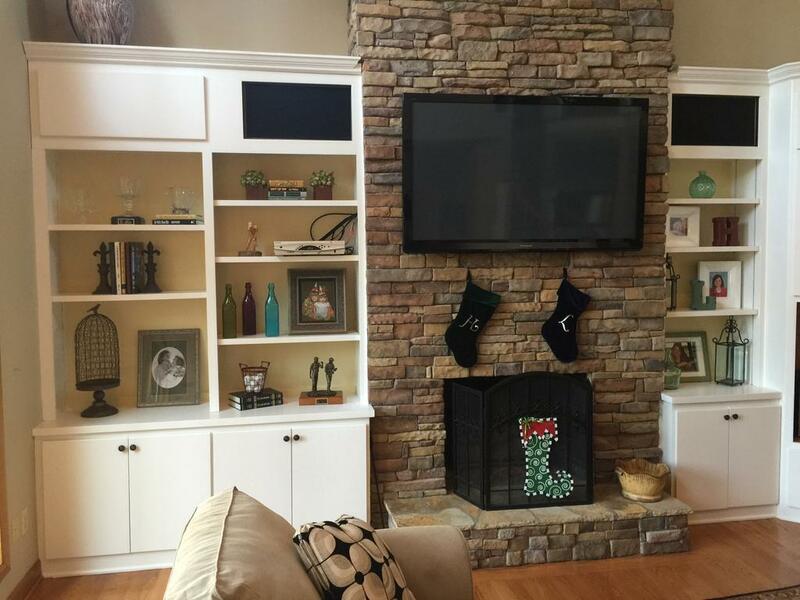 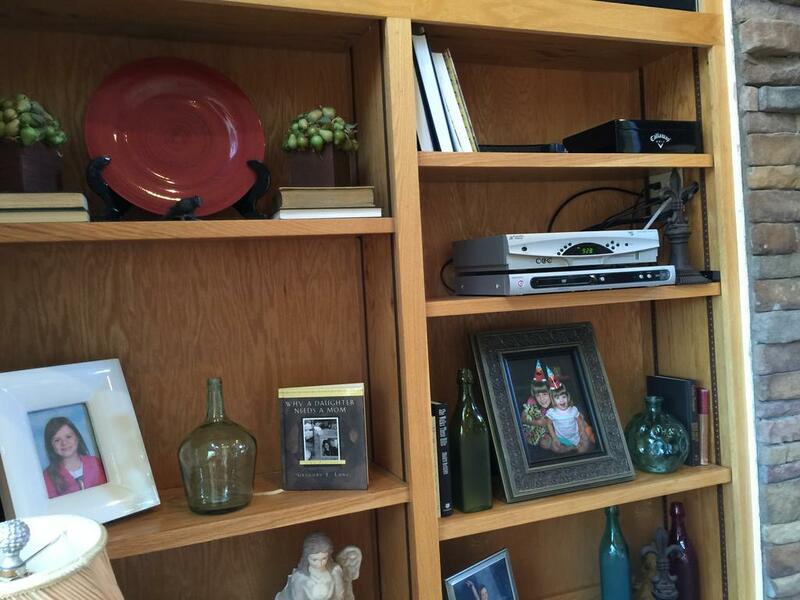 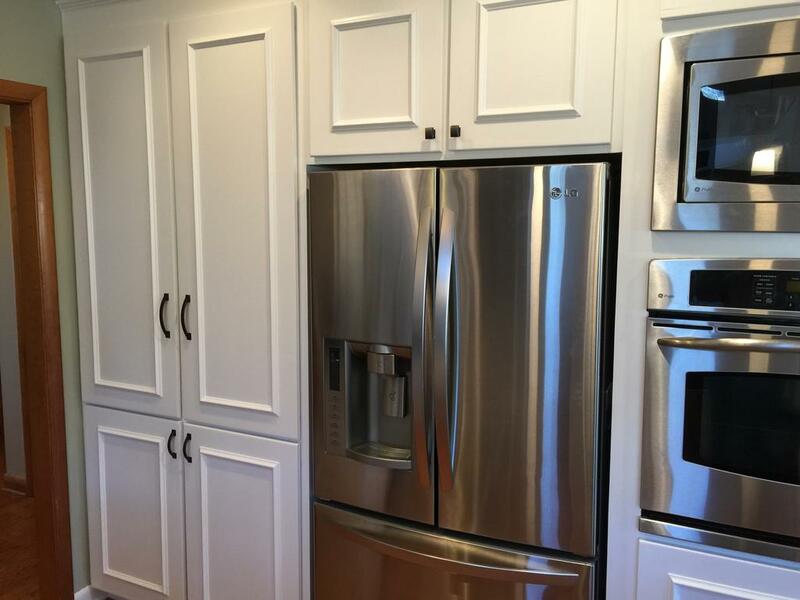 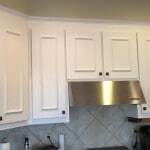 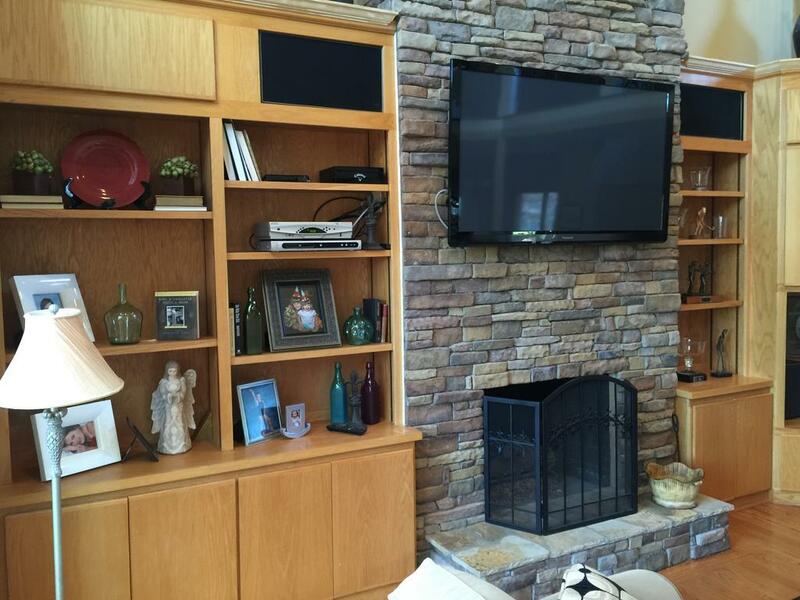 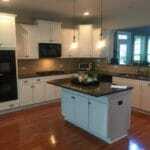 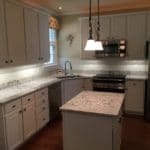 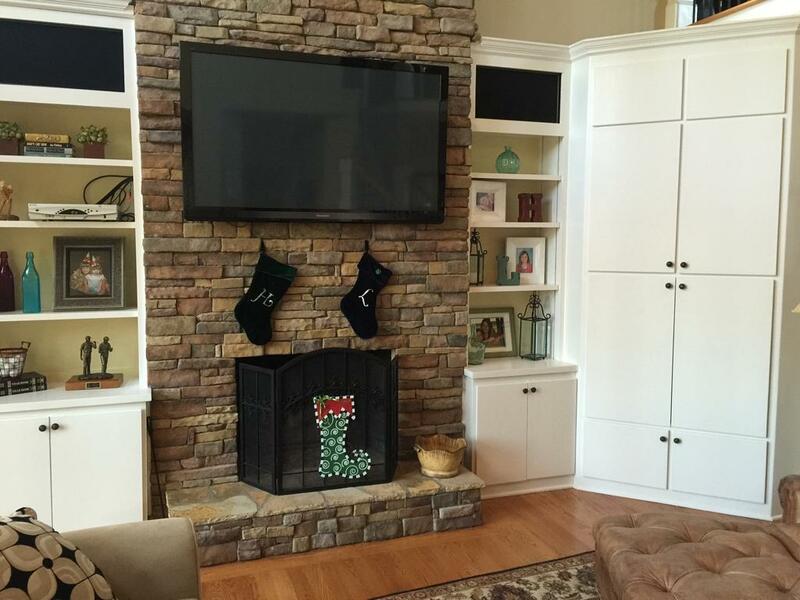 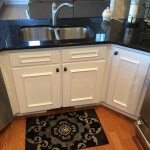 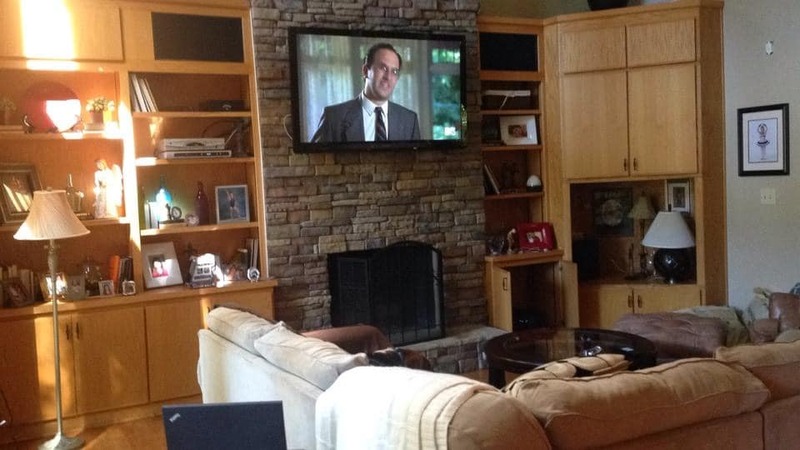 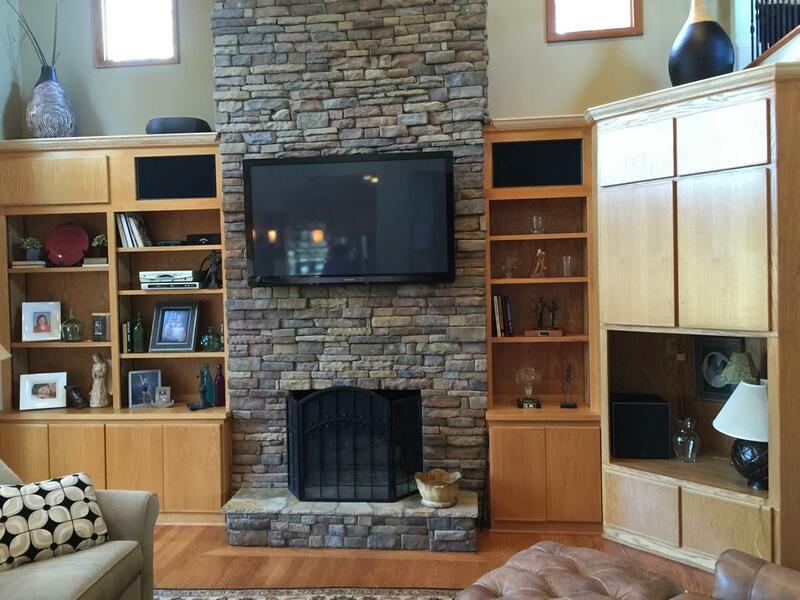 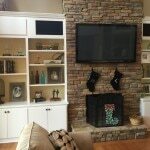 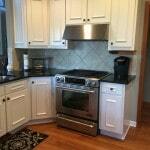 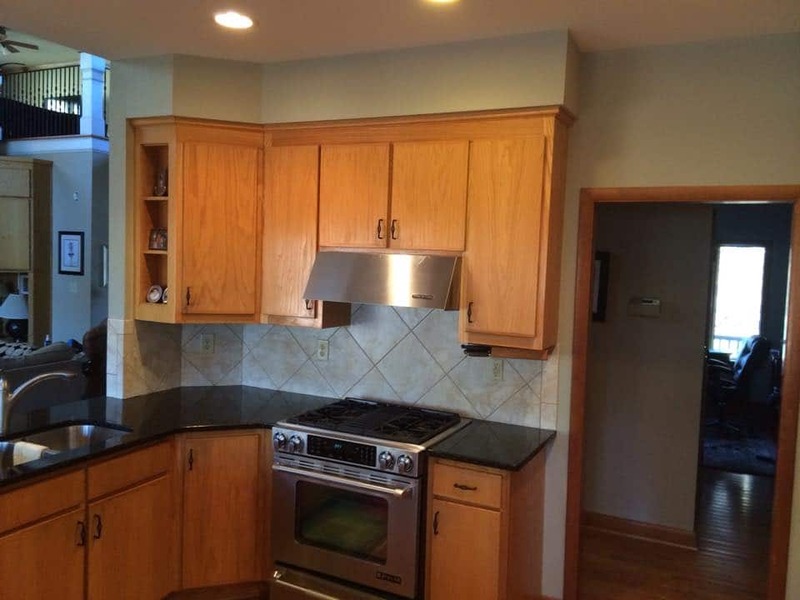 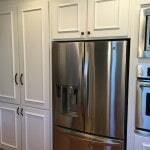 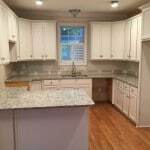 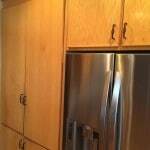 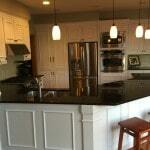 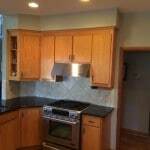 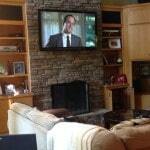 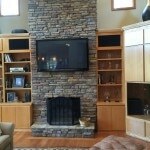 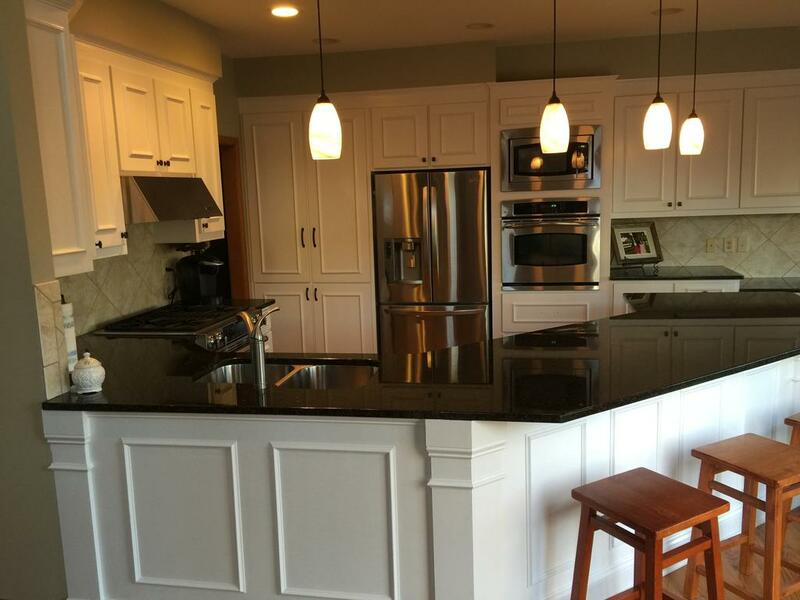 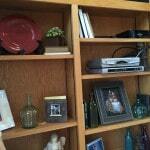 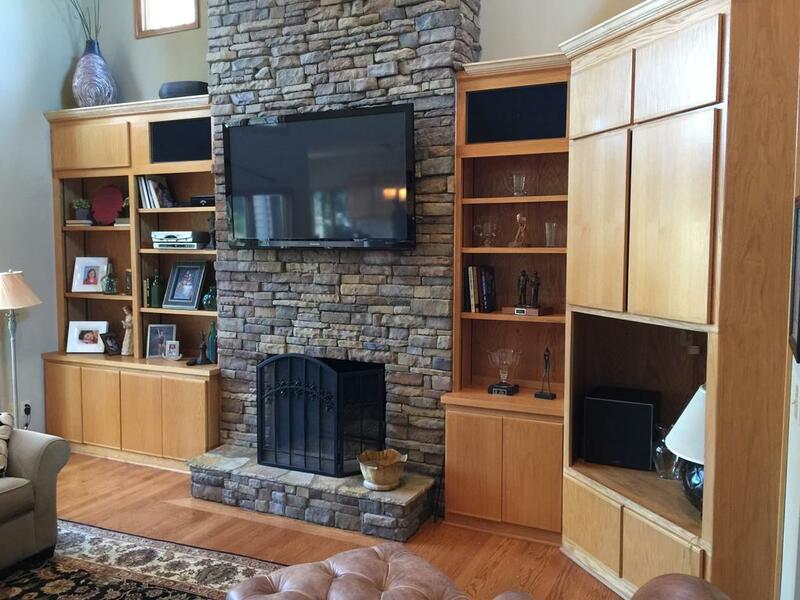 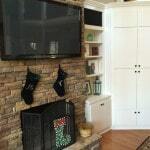 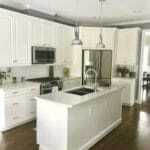 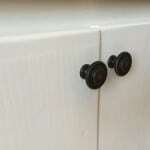 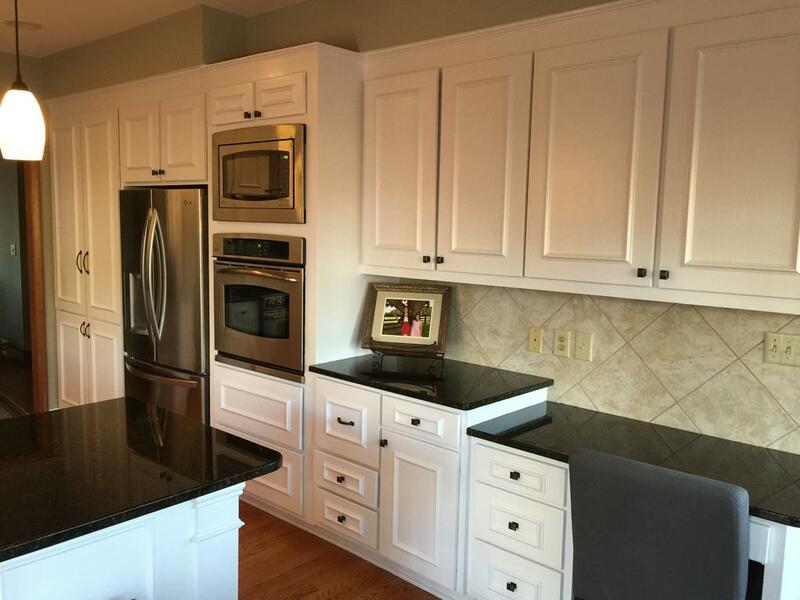 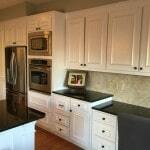 Our homeowner had solid wood, sturdy oak cabinetry. 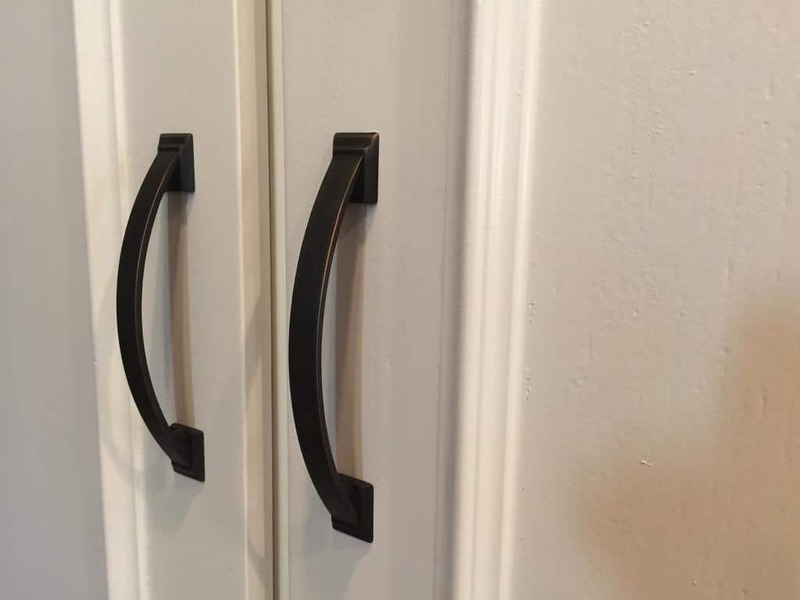 Everywhere! 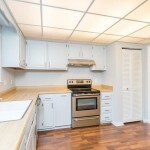 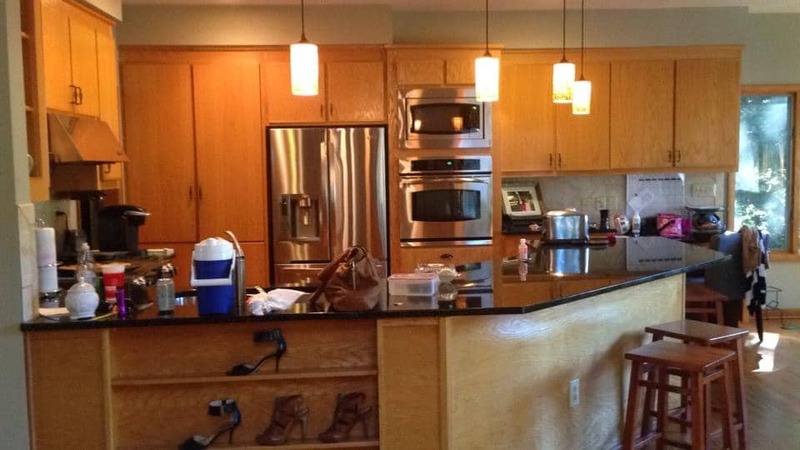 There were 2 major problems with that – 1) it had turned orange over time, and 2) the cabinets blended into the floor. 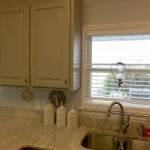 Nothing stood out and said Hey, Look at Me! 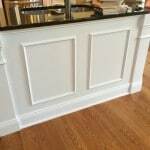 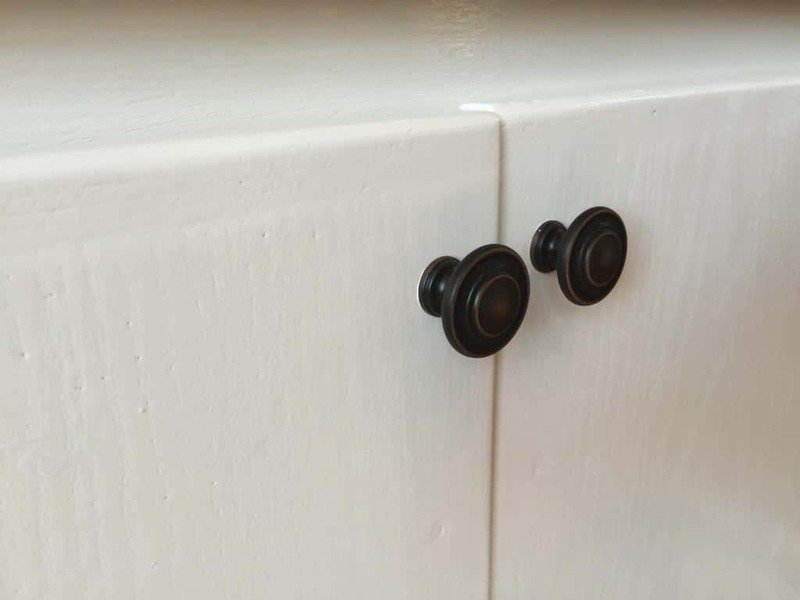 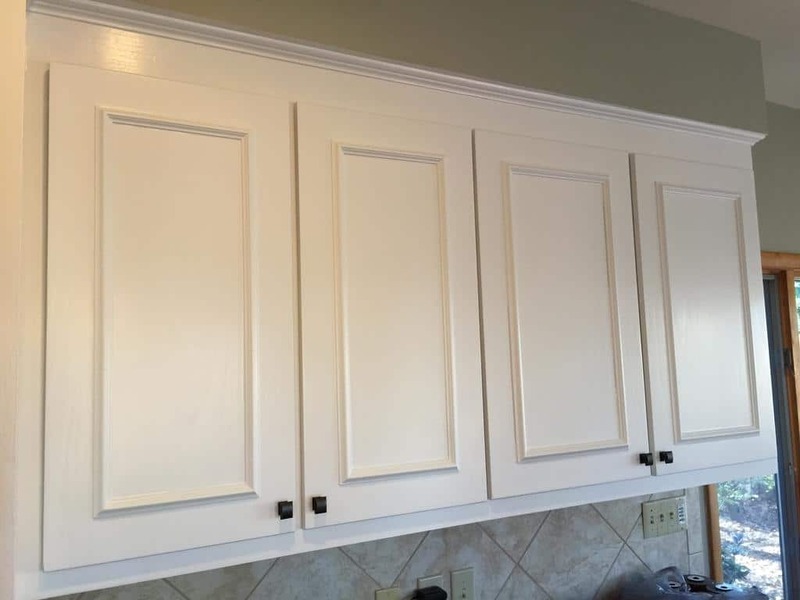 The solution was to add some delicate picture frame moulding to the panel doors in the kitchen, and to the front of the peninsula as well, to give them a custom look. 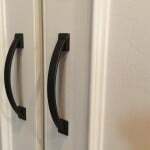 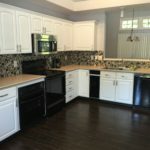 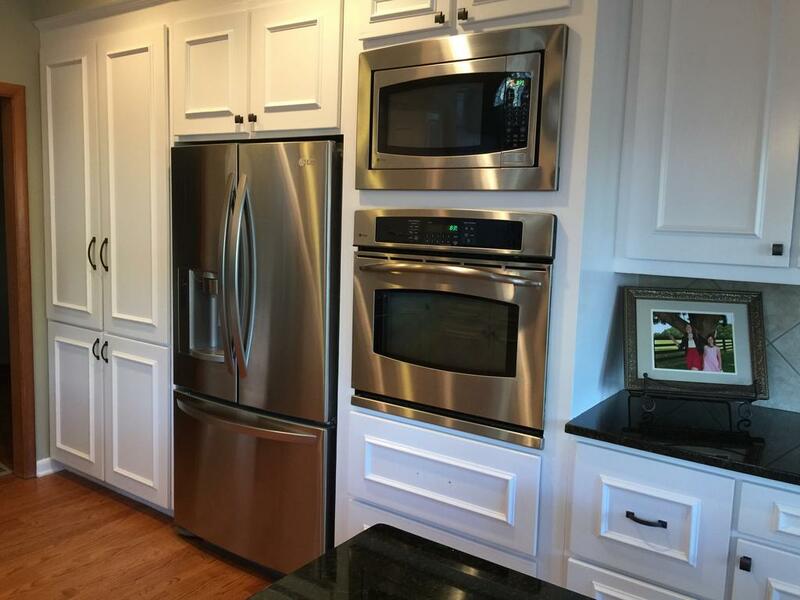 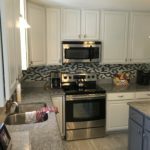 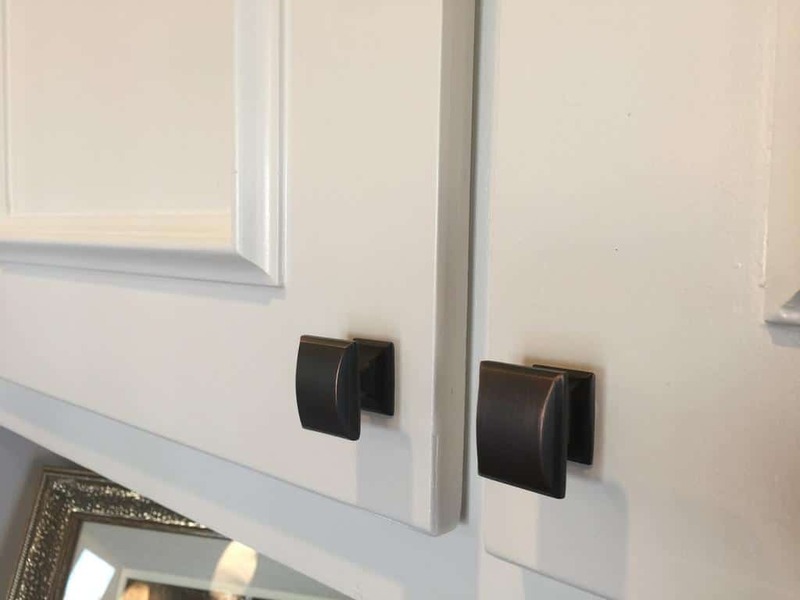 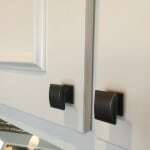 Then we gave everything a beautiful coat of Sherwin Williams Snowbound paint, topped them off with new oil rubbed bronze hardware, and like magic we had a brand new looking kitchen. 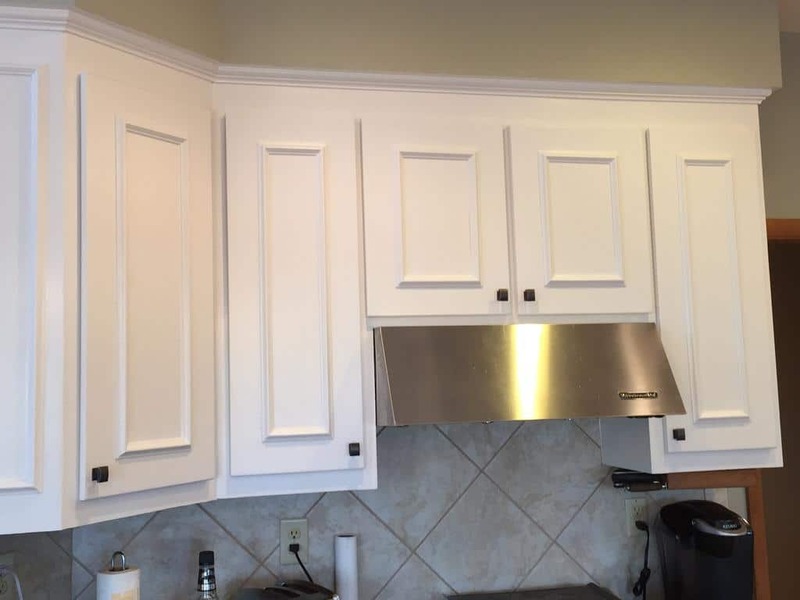 What a difference some paint and new hardware can make.